A much delayed photo session of my gorgeous boy. Uh, do I have to sell him. 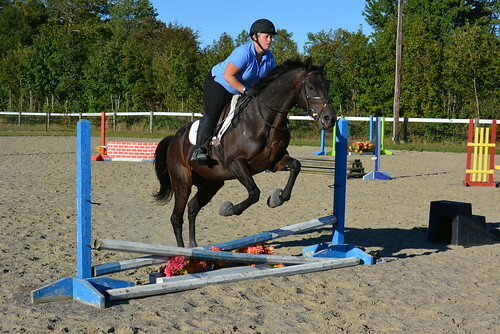 I just love riding and working with this horse but yes he does have to move onto a new home after the symposium. It is fun to do a conformation comparison. Can you believe this is only two months difference? Wow, imagine six months of training. Gorgeous!!!!!!!!!!! 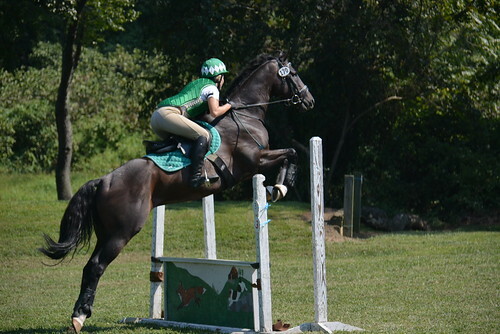 Katzimo has been slow to catch on to the jumping but I always knew it was simply a lack of fitness/muscling. 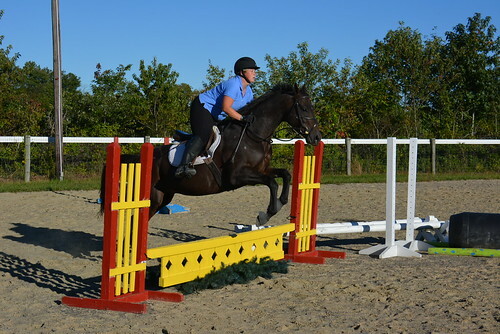 It takes time to get them strong enough to even push off and he is just a casual type of horse so he wasn’t quite sure it required effort. 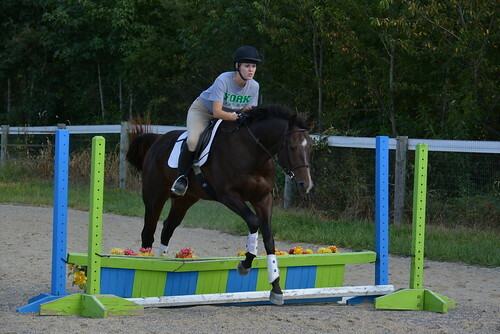 I have been doing quite a bit of groundwork to help him figure out the jumping. 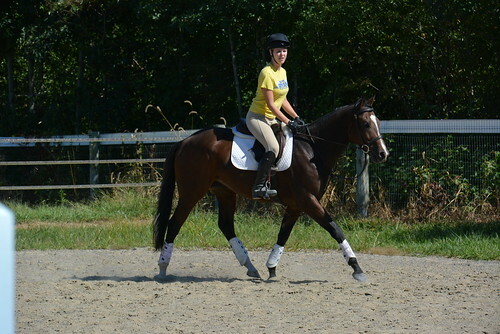 It has paid off because last night he was finally picking up his feet! Ha, no clue about this pic but he tried very hard. 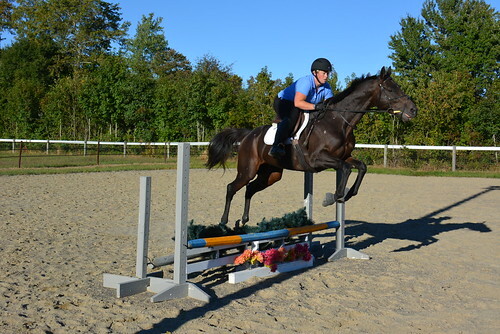 He is for sale for $3500. 16.1 h 5 yr and pure class 🙂 I love this horse and everybody who has ridden him instantly falls in love. Wow, it has been so busy that I am neglecting the blog. 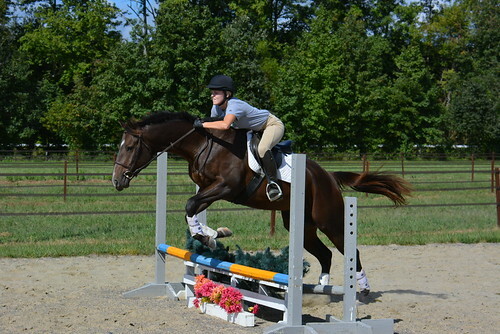 The good news is the horses are going amazing. Crazy..oh lord how cute is crazy! 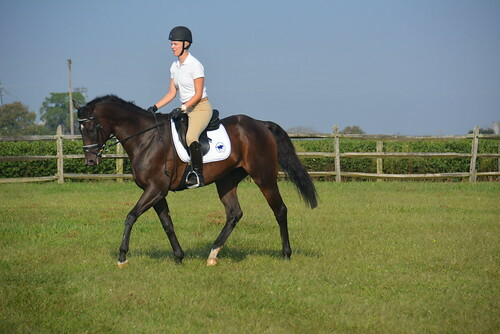 He has gotten fitter and is holding his canter now. Getting him into it is still a bit of a challenge but it is coming. 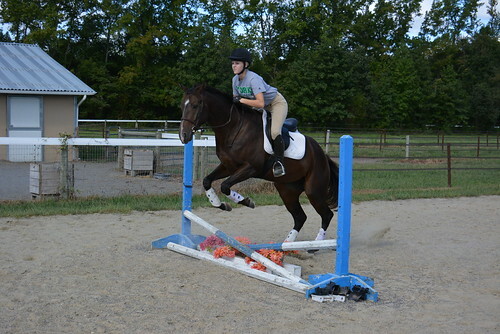 He is also learning to jump and is killing me with just how hard he is trying. He is just such a good boy. No clue where his parts go but he is trying so hard. The lower lip is so funny. Katzimo continues to be amazing. 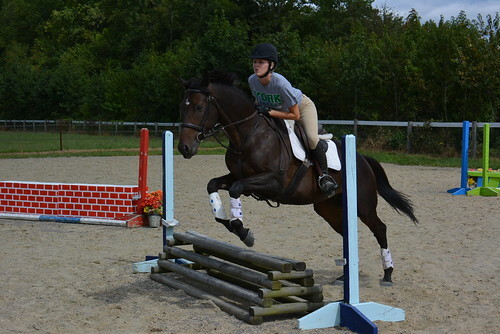 He went to his first show last weekend and was very good! 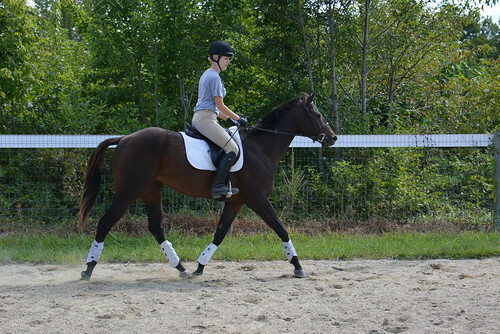 Dressage he tried his heart out but tripped a few times. 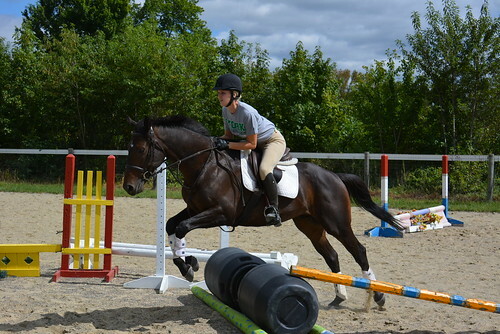 He has grabbed a heel on his shoe and that could have been the issue but also he simply struggles to canter and cantering + circles is still tough. It takes time when they have been in the field for 7 months to develop the strength. 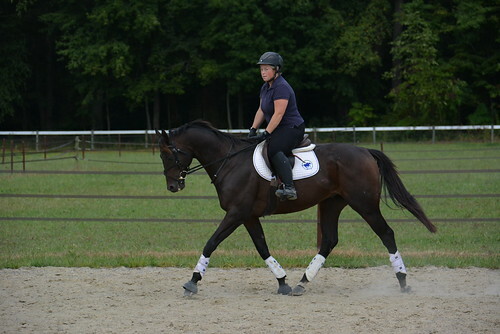 It is coming along and he is so nice to ride. Love him!!!!!!!!!!!!!!!!!!!!!!! 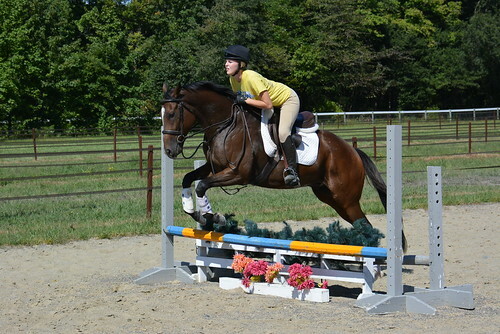 He did so good jumping around at the show. 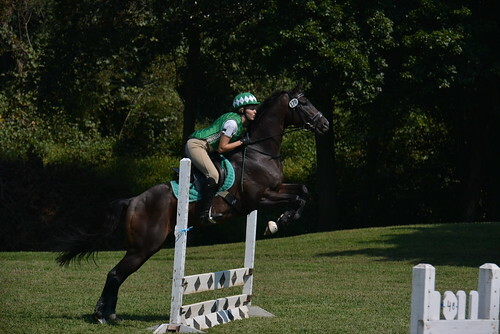 He had never seen a xc fence or when alone but he was excellent. 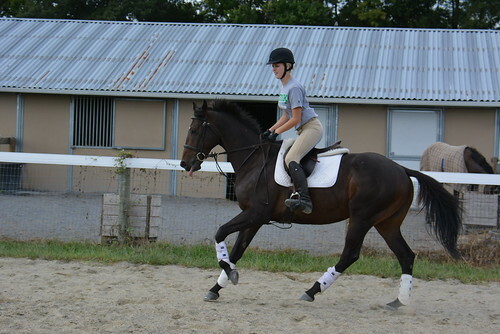 He found to dressage to be very hard. He needed a nap and a snack 🙂 This is his signature off the farm post ride routine. 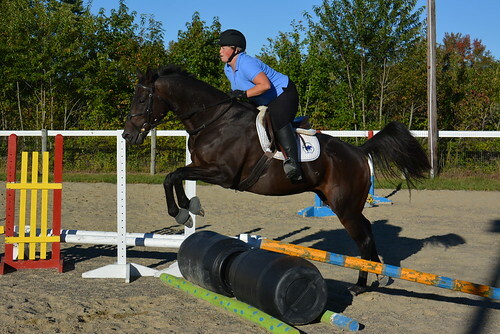 His new owner must keep up with this! We took these this weekend. My gosh he is gorgeous! I had bought this helmet (because it fit well!) but the built in sunglasses have brought some humor to our group. Robocop helmet. Seriously, it rocks and you all are jealous. You know you want one! 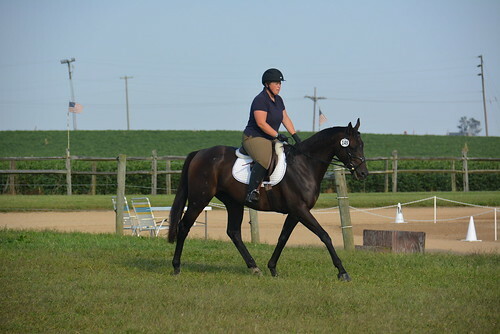 Elusive Sky (my former resale project) went to his first show. 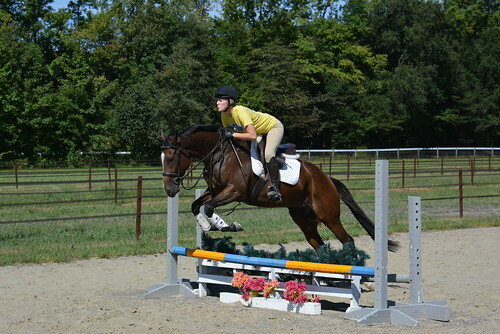 His owner comes and helps me ride horses on the weekend but she only gets the weekends to ride while she is in school. 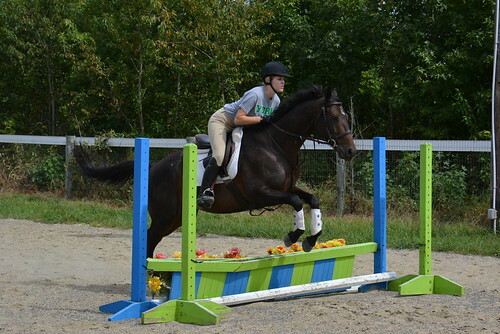 He has battled with thoroughbred feet issues this summer. 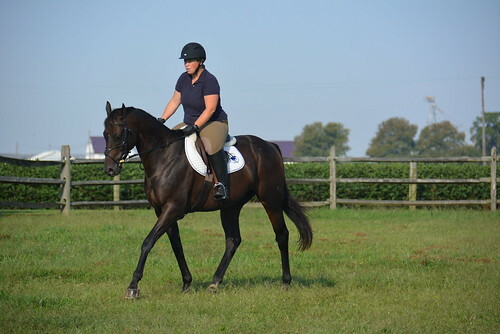 It was just amazing to see him out doing so well. They had a blast! He and Katzimo are both by Sky Mesa. Sky is a bit of an overachiever 🙂 He will learn to relax and use his back instead of just rocket launching. 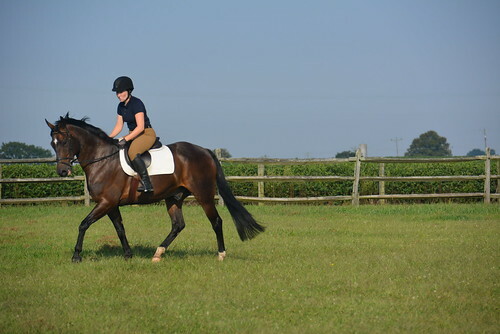 Jess helps me out with riding some of the horses (keeping Junior fit!) 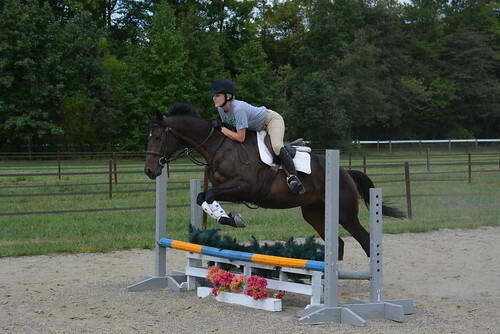 and she was competing Junior who hasn’t been out in a long time. She also hadn’t shown in a long time but they did great!!!!!!!!!!! With the darn bugs and hot weather I gave the new boys a bit of a break but this weekend we are back to work. I really am enjoying Tin Star. 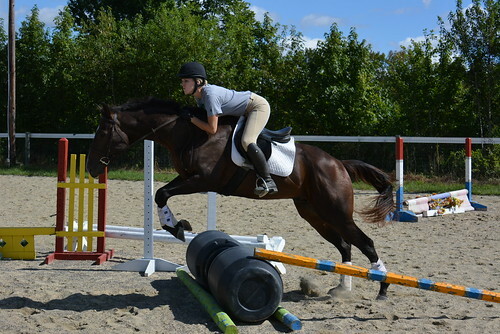 Amanda rode him and was amazed at the difference. He has relaxed and is starting to soften. 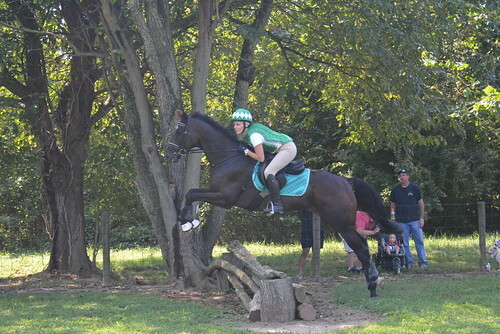 This guy is going to be an eventing maching! 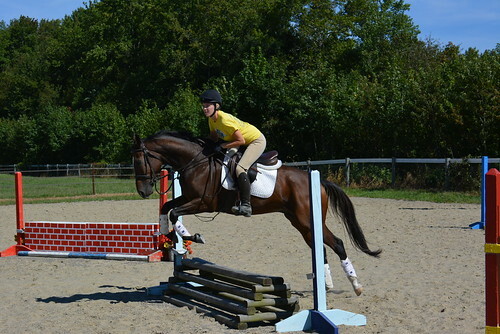 This was his first time jumping! 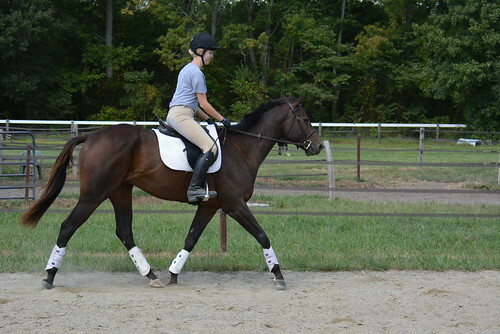 He still needs to relax and allow his back to soften and shoulder to come forward in the trot but it will come. Blue Desert is now just over 2 wks off the track and boy is this one nice! 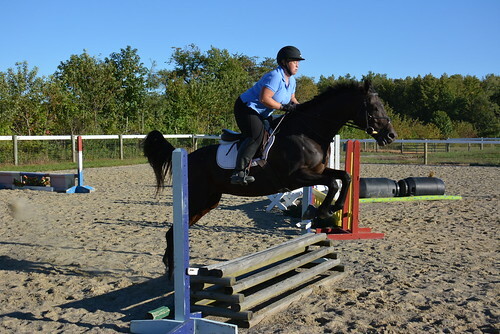 He is just a 3yr and a bit over 16h. Such a cutie with good movement and a willing attitude. Nice jumper and I think he is going to go right up the levels. Such a nice group of horses right now! All are for sale so pass them along. my email is jessicamorthole@yahoo.com if you know anybody looking. 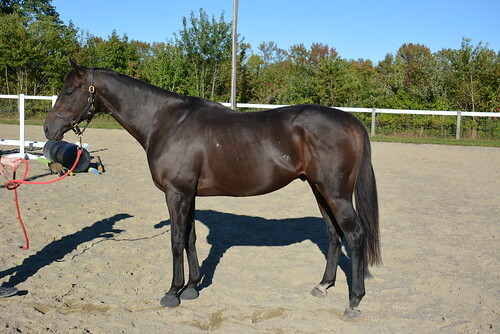 Katzimo can head off to his new home after the symposium. 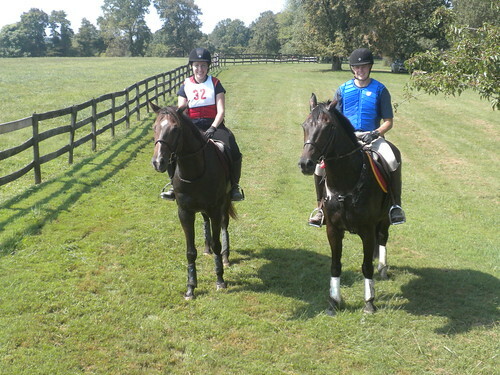 The plan was to take Katzimo and Crazy but I really wanted to ride Letterman. 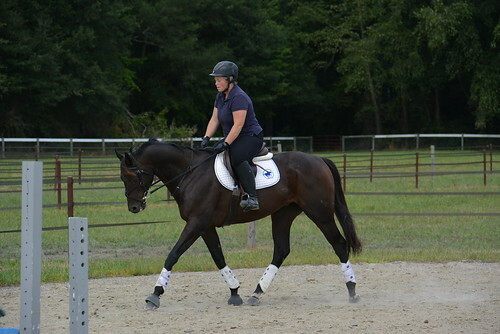 Sometimes you just want to ride you own horse and there are plenty of opportunities coming up to get Katzimo out. He will actually be heading to a combined test this upcoming weekend so that will be fun. We headed up to Tranquility Manor in Monkton, Md for the paper chase. I have evented there but never done the paper chase. It was a 6-8 mile course with lots of jumps, water crossings, up and down hills and so much more. 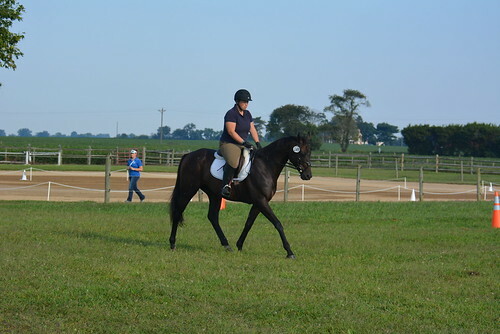 It started out a bit hectic for us because when we got the horses off the trailer a donkey started braying, horses were galloping by and then a rider came cantering up right past our trailer and jumped in and out of the dressage ring??? Letterman was quite wild at this point and all the horses were a bit rattled. 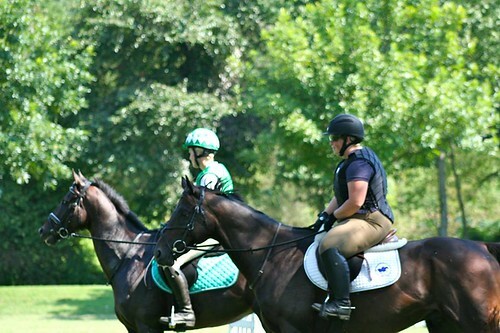 Jess was doing her first paper chase on a green horse and at that point I could tell she was very nervous. We walked up to the start point where there was a ring and got on there. Crazy was looking around but very quiet. Once she got on she relaxed and Kurt and I were just praying we would stay on for the 15 min it always takes our goofy horses to chill out. We were very very thankful to the steep hills we could trot up to wear them out 🙂 Our plan with our two horses is always to just get them moving. Letterman and Junior are the types that do much better when you just go forward. Put your hands down, heels down and move on. Jess relaxed as soon as she realized she was the one on the sane horse 🙂 Our horses were cantering and bucking going up and down hills and Crazy was just trotting on a loose rein looking around. He was totally unaffected by being in the back and at times he was way behind Junior and Letterman and couldn’t care a little bit. We would go cantering up the hills and he would make his own way up. 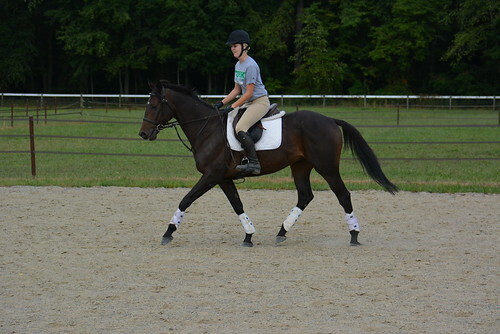 He is getting much stronger and he did an excellent job of cantering the whole paper chase! We had to navigate some tricky hills both straight up and straight down, mud and several water crossings. One or two came down a steep path and were really mucky. He didn’t even care! It was so hot and humid so while we did a lot of trotting and cantering we also tried to walk in the woods and let them cool down. Crazy wasn’t as fit as our boys but he was holding his own. Crazy and Junior are so darn adorable! We were passed by some riders and we passed another team or two. None of the horses got worried about that which is always nice. 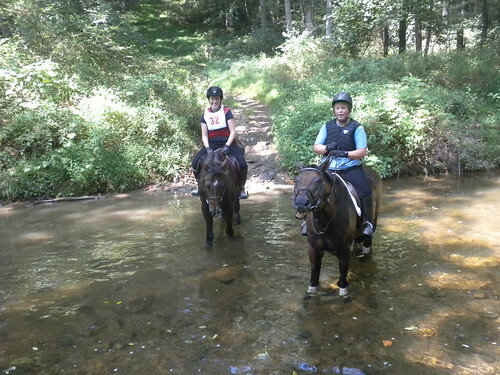 We tried to stop at every water crossing and let the horses get a drink. Letterman and Junior have figured out drinking while riding. Crazy wasn’t too sure and just wanted to stick his head in the water and play. This is Letterman’s happy to be in water face. We were all thrilled with just how good Crazy was the whole time. Our boys can be a bit silly but Crazy never even paid attention to them. 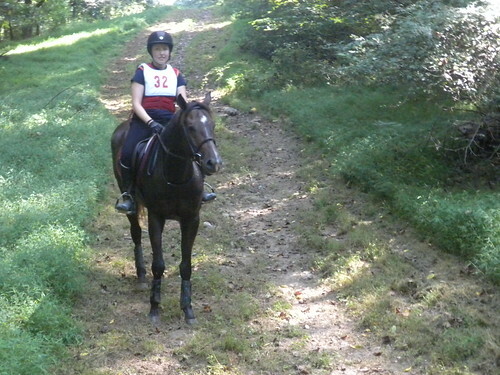 I even raced Kurt up a hill and Crazy got to pick up maybe a hand gallop and we all laughed so hard. 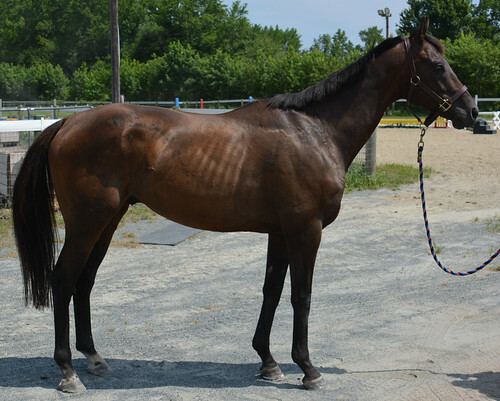 He did win some races but it is hard to believe as laid back as he is now. We all were feeling very hot and thirsty. Jess said she was really thirsty but we didn’t think too much of it because we all were. We were so happy to get back to the trailers. So hot! We started untacking and Jess went to the food stand to get some water and hose down Crazy. Kurt and I were hosing our horses down near the trailers and then Kurt went to get our drinks. He found Jess sitting down holding Crazy. Yep, heat got to her and she had passed out while holding Crazy. Apparently he was a saint and just stood there looking at her concerned. Some people were helping get her cooled down and some food into her. Kurt came back with Crazy and then we got Jess back into the cooled down truck. It was a long hot ride so we should have had some water. Lesson learned for next time. We still all had a great ride and Jess left us with a good story 🙂 We are hoping Crazy finds his perfect person. 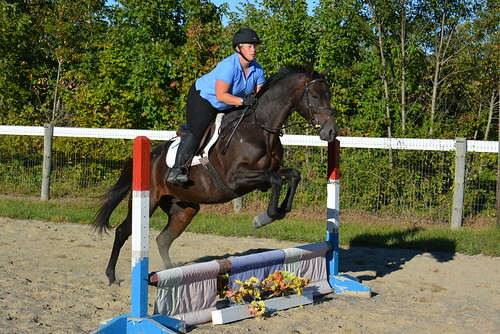 He is just so much fun to ride.